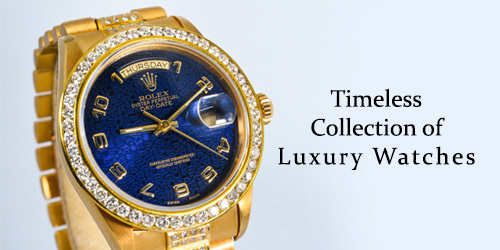 It is essential to choose a trustworthy gold buyer to get the best offer, and The Luxury Hut is one of them. If you are, get in touch with our experts at The Luxury Hut today to get cash for gold at the best possible price. As specialists in buying gold, we offer a no-obligation quote right away and pay instant money without any hassle. Whether you want to sell your gold ring or sell a gold coin, we at The Luxury Hut will assess your asset with utmost precision and release the best possible value for you. Our expert evaluators take the time to evaluate every aspect of your gold item and provide a highly competitive offer based on the current market prices. As the most trusted gold buyers, we aim to offer the best gold prices to customers who are interested in selling gold for cash. Get a quote within 24 hours by filling up our online form or arrange an appointment for instant cash. How to sell my gold online? Selling gold online to us at The Luxury Hut is simple. If you want to sell gold to the trustworthy ‘gold buyers London’ or ‘gold buyers near me’, selling your gold online to us will be more straightforward and secure. The entire process may take as little as two days, right from getting a quote to getting paid. Conversely, you can also sell gold for cash instantly by arranging an appointment at our premises in Hatton Garden. Get a quote – Fill up our online form, providing the details of your gold item as much as possible, including its weight, condition, shape, photos and paperwork (if any). Based at the heart of London Hatton Garden, The Luxury Hut has been dealing with gold or jewellery for many years. We are backed by a professional and expert team of evaluators that enables us to complete every transaction with confidence, offering the best possible price to customers who want to get cash for gold. 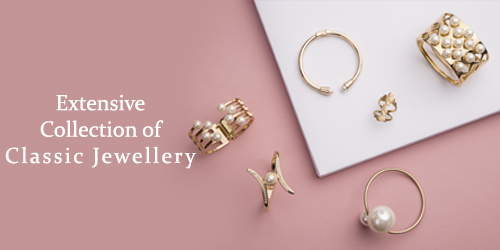 With our comprehensive knowledge and constant monitoring of market prices, we buy a wide variety of gold items for the most competitive prices, be it is a gold ring, vintage gold jewellery, gold studs or gold coins. When in dire needs of money, people often tend to monetise their gold assets, especially jewellery. While you may decide to sell your scraps to invest in a new jewellery item, others may sell gold merely to raise the money they need in financially distressed instances. Here at The Luxury Hut, we always work to make the process of selling gold easy and straightforward, helping you to acquire the fairest price for your precious asset. Keeping the original receipts may help in preventing a conflict of interest as the purity of your gold will be mentioned explicitly in it. The price that we are willing to offer for your gold item often depends on the purity of your precious metal. Thus, it may be essential for you to check your metal’s purity, especially if you have decided to sell gold for cash. Although there is no such standard method to estimate the exact selling price of a gold item, we at The Luxury Hut can help you to get the most accurate quote for your gold. We may take into consideration every aspect including weight, purity, condition, and age to determine the highest possible price for your gold, according to the current market prices. While any documentation or receipt you have on your asset may add value when selling it in London, you can indeed be able to sell your gold at The Luxury Hut and obtain a competitive price without them. Complete our online form and get a free no-obligation valuation shortly after, from our expert evaluators. We, at The Luxury Hut pride ourselves on offering an honest and realistic price quote in the market. Whether you are searching ‘Where can I sell gold’, or ‘Where to sell Gold in London’, The Luxury Hut will always be the best place to sell gold for cash. Experts at The Luxury Hut are always on hand to assess your asset precisely and determine the most accurate value of it. Our process of selling enables our professionals to pay you the best gold prices possible for your assets. Here at The Luxury Hut, our evaluators assess every part of your piece of gold jewellery or other items, using their expert knowledge. With many years of combined experience in this industry, The Luxury Hut acknowledges that the price of a precious metal like gold changes daily. We make an offer to our customers based on the gold’s price on the day of valuation, thereby offering the most updated competitive price in the market. Fill up our free quote form – Provide us with information about the asset you want to sell, describing its age, condition, weight and others. Make sure; you attach high-resolution photos, original receipt or documents (if still in possession) or any certificate to confirm its purity (if any). We will assess each aspect with precision and provide you with the best possible value, securing your gold for the right amount. You can also call one of our team members on 0207 242 5411 to arrange an appointment at our office in Hatton Garden and get cash for gold right away. For those who are looking for ‘cash for gold near me’, ‘gold buyers London’ or ‘cash for gold near me London’, get in touch with the most trusted online gold buyers– The Luxury Hut. We at The Luxury Hut can offer you cash for gold at the best possible price, securing your asset in London or from all over the UK via our safe and straightforward online procedures. Our online quote form is the preliminary way to begin the process. At The Luxury Hut, the specialised team of evaluators can take into consideration all the essential factors like weight, condition, age and documents. We will analyse the metal along with any gem like diamonds that may come along with it and come up with an accurate valuation. With years of experience in buying and selling gold, we have substantial knowledge about the changing market trends, allowing us to assess the current value of your gold at the time of valuation. We evaluate every aspect of your asset, considering the detail provided and offer you an accurate assessment, based on the current market condition. We, at The Luxury Hut, will get in touch with our valuation either by phone or by email. With over 40 years of combined experience in the second hand jewellery industry, The Luxury Hut carries out a professional gold assessment, making our process of selling unique, straightforward and reliable. If you are looking to ‘sell my gold in London’ or ‘best place to sell gold jewellery for cash’, call us on 0207 242 5411, email at [email protected] or visit our premises in Hatton Garden, London (by appointment) with your valuables.